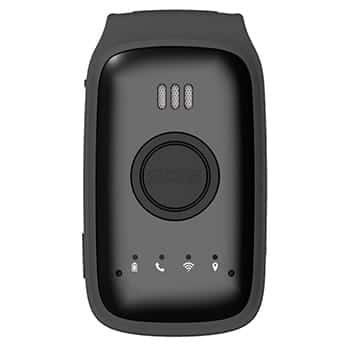 The Oysta Just in case is a mobile device with an inbuilt one touch SOS emergency button, fall sensor and GPS location tracking. The Just in case mobile device ensures you have peace of mind, confidence and freedom, both out and about and in your home. Small in size and lightweight, the Oysta Just in case is discreet and easy to carry or wear. The Oysta Just in case device is available to members of the public and customers already living with Anchor. You can choose to either self-monitor alerts from your Oysta Just in case with support from just a nominated person, or for extra peace of mind, Anchor’s Anchorcall team can be on hand 24/7. Our Anchorcall service is an established and trusted UK based response centre, providing assistance 24 hours a day 365 days a year. Monitored by our friendly, well trained staff, Anchorcall will have immediate access to your details and location and offers specialist professional assistance. For more information or to order an Oysta mobile device fill in the form below and our friendly Customer Centre Support Team will be in touch. We will look into your enquiry and get back to you as quickly as we can, normally within 48 hours. Alternatively, if you would like to talk to a customer service advisor, please call 0800 731 2020 8am-6pm, Monday to Friday and from 8am to 4pm on Saturday.